OCTOBER IS GRABER BLIND SAFETY MONTH. FREE CORDLESS OPTIONS. All Jersey Blinds and Shades LLC, provides a complete line of custom blinds and shades at discounted prices (50-70% off list price). All of our products are professionally installed. We have an exclusive Shop At Home service. Let our experts measure your windows and assist you in selecting the perfect color,style and type of window covering to best fit your home or office decor. The best place to choose your window coverings is your home or office due to lighting issues. 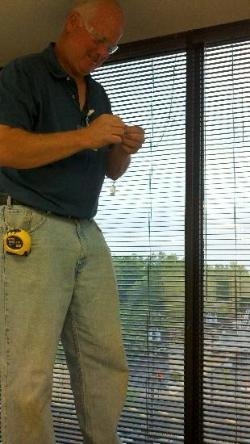 We also REPAIR and CLEAN all types of blinds. Our core market is Central New Jersey, serving Union, Essex, Somerset, Middlesex, Morris, Monmouth and Ocean Counties. However, we will travel anywhere needed. Let us bring our mobile store to you!